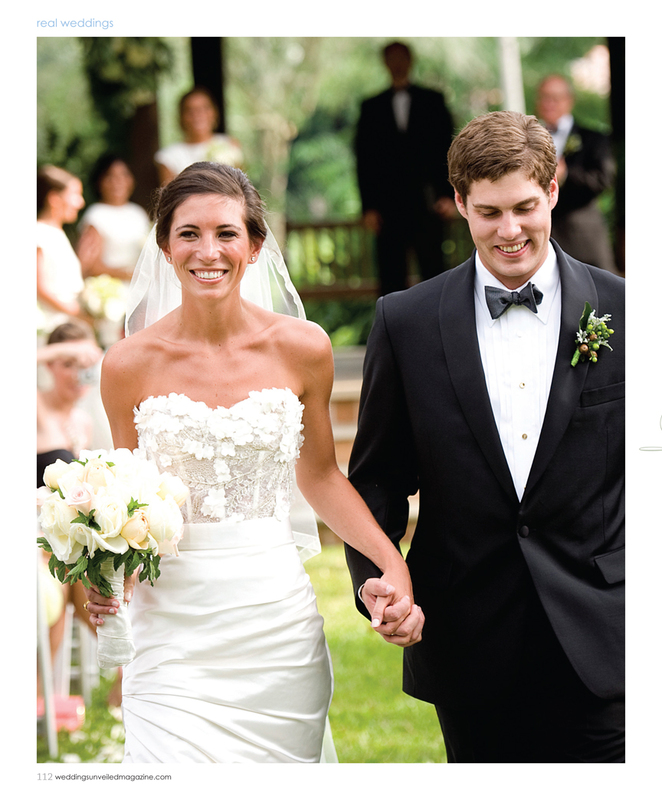 Weddings Unveiled Magazine is one of our favorite wedding publications. 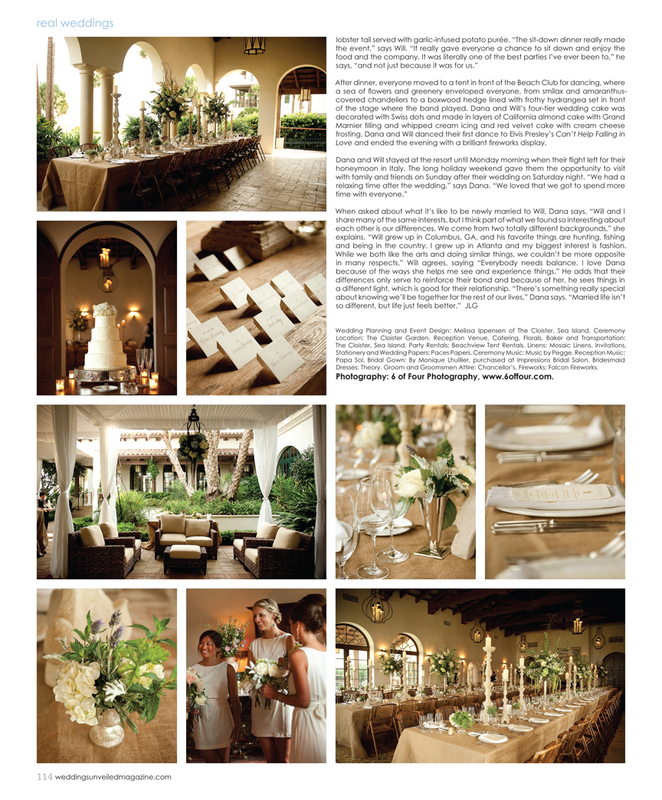 They just released their winter issue and we could not be more excited about our Real Wedding feature. 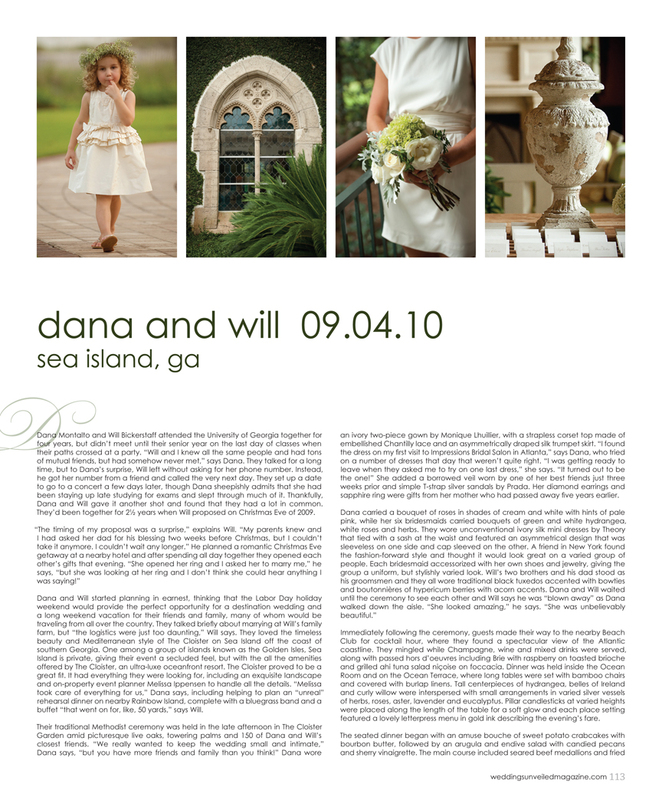 Dana and Will’s wedding was at the Cloister on Sea Island this last year. We knew it would be a perfect match for Weddings Unveiled and they agreed! Below you can see the gorgeous layout they did with the photographs and copy.